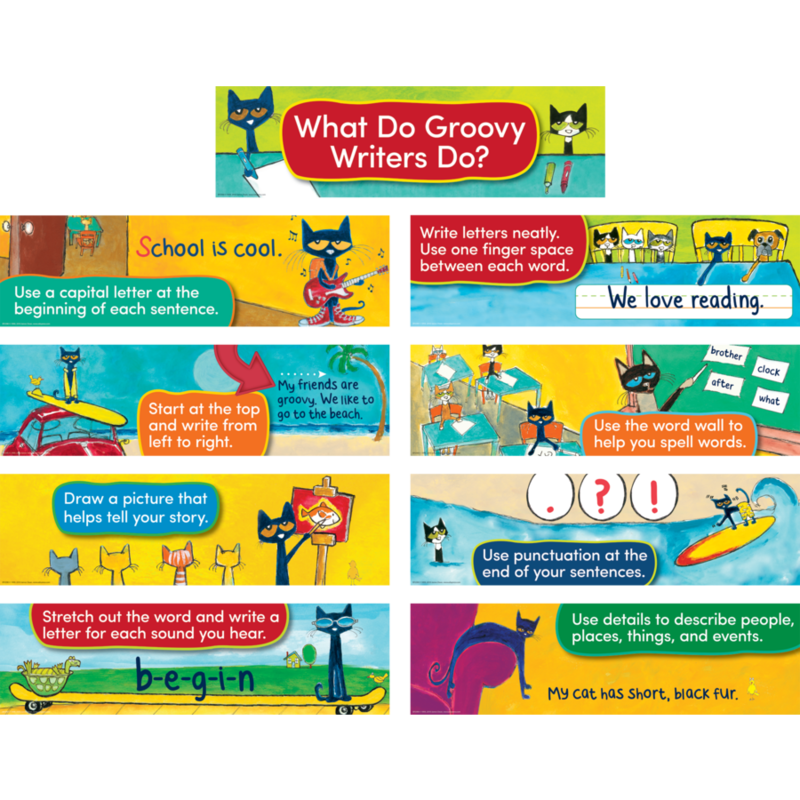 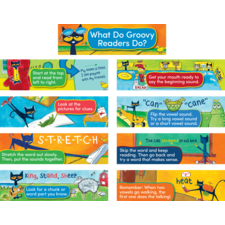 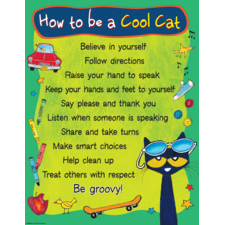 Pete the Cat reference posters guide beginning writers to use good writing strategies. 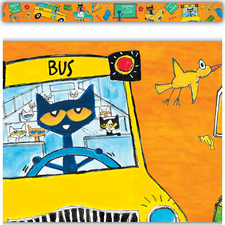 Set of nine 6" x 21" posters. 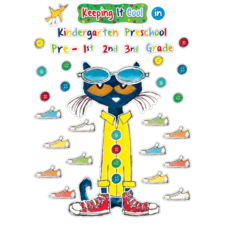 Includes teacher guide with activities and reproductibles.